Success! Ruth from Malawi raised $650 to fund gynecological surgery. 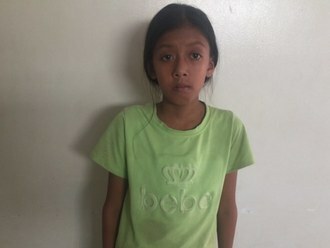 Ruth's treatment was fully funded on January 5, 2019. Ruth is very happy to be in better health due to this procedure. She is going to return to her farming. Ruth is a mother of four and grandmother to four from Malawi. She is a farmer who is also responsible for household chores such as cleaning, fetching water, and tending to her garden. Since October 2016, Ruth has been experiencing abdominal pain and urinary pain. She has been diagnosed with uterine fibroids. She needs to undergo a hysterectomy, a procedure in which surgeons will remove her uterus. Our medical partner, World Altering Medicine, is requesting $650 to fund Ruth’s surgery. On October 23, she will undergo gynecological surgery at Nkhoma Hospital, our medical partner’s care center. The requested money pays for supplies, medications, and seven nights of hospital stay. She is very much looking forward to living a normal and healthy life again. Ruth's case was submitted by Angela Quashigah at World Altering Medicine in Malawi. Ruth was submitted by Angela Quashigah at World Altering Medicine, our medical partner in Malawi. Ruth's profile was published to start raising funds. Ruth received treatment at Nkhoma Hospital. Medical partners often provide care to patients accepted by Watsi before those patients are fully funded, operating under the guarantee that the cost of care will be paid for by donors. Ruth's treatment was successful. Read the update. Ruth's treatment was fully funded. Patients requiring hysterectomies at our medical partner's care center generally have one of three conditions: uterine fibroids, cervical cancer, or chronic bleeding. Women with uterine fibroids may experience chronic pelvic pain. Women with cervical cancer are often symptom-free and are only diagnosed upon screening. Finally, women with chronic bleeding experience atypical and excessive vaginal bleeding. These three conditions may impact the patient's life in different ways. Women with pelvic pain and bleeding may be unable to work or be active. Women who experience bleeding may feel weak, due to the loss of blood and inaccessibility of blood products in Malawi. Women with cervical cancer are at risk of cancer metastasis. Cervical cancer is the top killer of women in Malawi, which has the highest rate of this type of cancer in the world. There are several factors that lead to these high rates, including early sexual initiation, high HIV prevalence, and lack of screening and treatment. Although health facilities nationwide are supposed to provide screenings, many do not. Therefore, women are never screened, and the cancer can progress to an untreatable stage. In addition, women with cervical cancer often experience no symptoms and may not go in for a screening. Women with vaginal bleeding may experience stigmatization. In Malawi, menstruation can be a challenge. It is difficult to keep fabric clean, as there is often little access to sanitary products. A hysterectomy is a surgical operation to remove all or part of the uterus. Surgeons perform radical hysterectomies on women with cervical cancer. This is an aggressive surgical approach to combat cancer. Women with fibroids or bleeding may receive alternative treatments before a hysterectomy. For patients with cervical cancer, a hysterectomy is a lifesaving operation. Without treatment, the cancer will continue to spread and ultimately become untreatable. Chemotherapy has not been proven effective in treating cervical cancer, so a hysterectomy is the best option for women. Women with fibroids or bleeding will be able to return to their daily lives without chronic pain and bleeding. There are risks associated with any surgical procedure. In this case, there is a risk of damage to the ureters and the tubes that connect the kidney to the bladder, as they are near the reproductive system. There is one public hospital in Malawi's Central Region that provides hysterectomies. Unfortunately, the wait time can be very, very long. Women may not be treated in time or may stop showing up for scheduled surgeries as they continue to be delayed. Other private facilities provide hysterectomies, but at rates that are unaffordable to our patients. For patients with cervical cancer, there are no good alternatives. For patients with fibroids, it is possible to remove the fibroid alone. This procedure is often done on young women who are still of childbearing age. Some women with fibroids or bleeding receive hormonal treatment before attempting a hysterectomy. In many cases, less aggressive treatments are tried before the patient receives a hysterectomy.